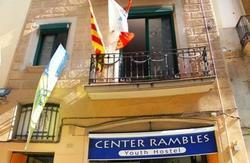 Were located in a completely refurbished impressive modernist building in the best location ever dreamed for a hostel, next to Plaa Catalunya and Las Ramblas. We offer amazing views over the most famous buildings and areas of Barcelona. 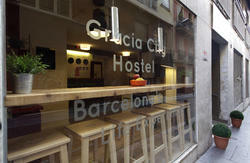 Altogether this is one of the most spectacular hostels in Europe. We have rooms ranging from singles and doubles to dorms. Most of the rooms are ensuite. Theres a huge bar and common room where you can meet tons of people. We offer free broadband internet access, satellite TV and a free breakfast of coffee, tea, milk, juices, cereals, fruit and toasts. Were totally focused to the international traveller. From our travellers desk you can book all kinds of tours and activities in order to socialize and discover the city. If you need anything (information, assistance, etc,) or you want to book any tour or activity in or around Barcelona, you'll only need to contact our staff, who are travellers like you and will provide all the help and info. 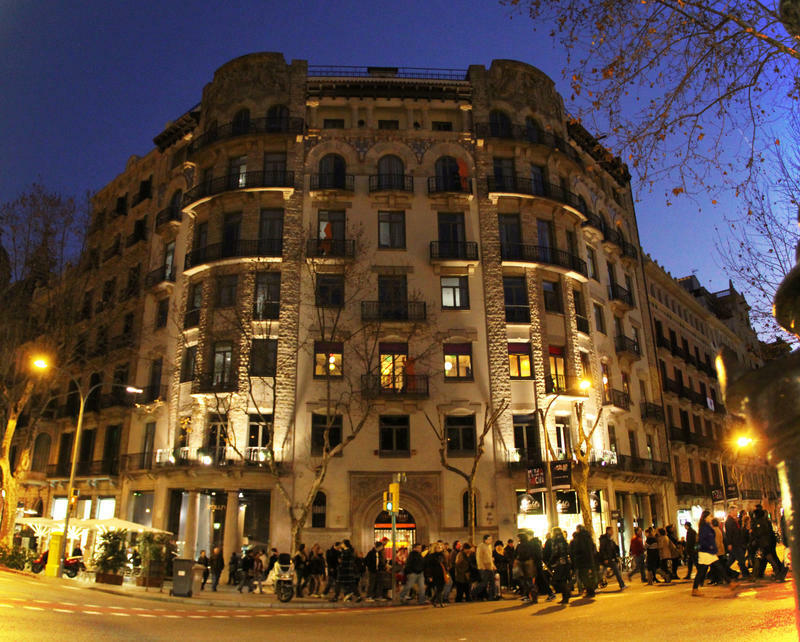 The hostel is located just a step away from Plaa Catalunya and Las Ramblas in the most elegant avenue and the best architectural walk in the city - The Passeig de Grcia. The quantity and quality of modernist buildings you can find in this street is unrivalled not only in Barcelona but in any city of the world. The Passeig de Grcia was designed from the beginning to be Barcelona's Grand Avenue, and is also home to Gaudi's most accomplished work and one of Modernism's best examples, La Pedrera (or Casa Mil). Today the Passeig de Grcia is an eminently commercial avenue, in the style of the great European boulevards. There is no better way to get to know the essence of Barcelona than to take a relaxed stroll along the Passeig de Grcia. Please note that persons under the age of 18 are only allowed to stay in private rooms or dormitory rooms that are booked for use of one family or group of persons, and cant share dormitory rooms with other guests. People under 18 years of age must travel with their parents or legal tutor. Please note that dorm prices include a pillow and one sheet. Additional sheets, blankets and towels can be rented from reception for a fee. Metro: Passeig de Gracia stop - green line.